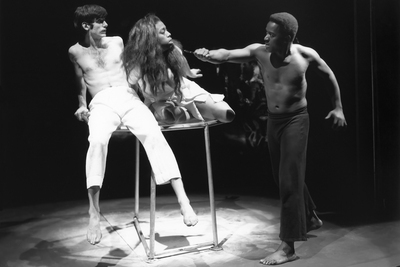 A scene from a 1967 University of Illinois theatre department production of “Cat Orestes,” with actress Lynne Thigpen. The theatre department is celebrating its 50th anniversary. CHAMPAIGN, Ill. — The University of Illinois theatre department will celebrate 50 years of teaching and of developing entertaining and thought-provoking productions with an anniversary celebration March 3-5. In addition to celebrating the department’s milestone anniversary, the events will connect current students with theatre alumni who have pursued a variety of career paths with their Illinois degrees, said Tom Mitchell, the associate head of the theatre department and the chair of the 50th anniversary planning committee. Mitchell hopes the celebration will expand the notion of what theater education is and illustrate its significance beyond careers in the theater. Theatre department alumni will make Pecha Kucha-style presentations about their careers and how their education at Illinois prepared them for their work. The presentations, called Alumni Blitz, are from 1:30 to 3:30 p.m. March 4 in the Studio Theatre at Krannert Center for the Performing Arts, and they are open to the public. Displays of the work of alumni in design aspects of theater will be exhibited throughout the Krannert Center lobby on March 4. 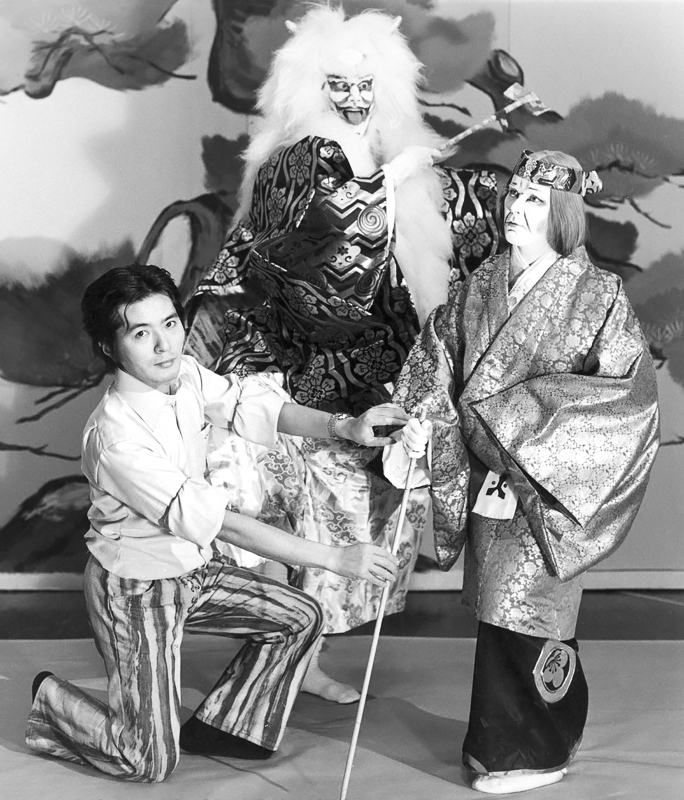 Shozo Sato and Kabuki theater actors in 1969. 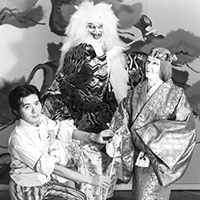 The U. of I. theatre department has had a close connection with Sato and his Kabuki theater program. Sato has worked with acting students, including taking a Kabuki production that included students on tour in Japan many years ago. In spring 2017, Sato directed “Iago’s Plot” for the theatre department. Among the alumni who will talk about their work are a visual effects designer; a costume, fashion and product designer; the executive director of a major performing arts center in the Chicago suburbs; a college theater program leader who, according to Mitchell, has one of the most vibrant programs in the country commissioning new plays; the director of a creative thinking program at the University of Daytona; a residential and commercial building designer; an architectural lighting designer; and the development director of the Chicago Humanities Festival. Theatre alumni will hold workshops for students March 5. The anniversary celebration will include opportunities to see William Shakespeare’s “Twelfth Night” – part of the theatre department’s 50th anniversary season – on March 3 at Krannert Center, and a student cabaret in the Armory Free Theatre on March 4. The department will present a memorial tribute to Bernhard Works, a longtime faculty member in design technology and Krannert Center’s first technical director, at 11 a.m. March 4 in the scene shop on level two at Krannert Center. Theater education at the U. of I. began in speech communication (now the department of communication). It became a stand-alone department at a time when arts education was exploding in the U.S., and at about the same time Krannert Center for the Performing Arts was established, Mitchell said. A hallmark of the program, Mitchell said, is that students are producing work to be performed at Krannert Center. “We’re producing work at a professional level all the time,” he said. Cast members rehearse the play “1984” at Krannert Center for the Performing Arts in 2015. 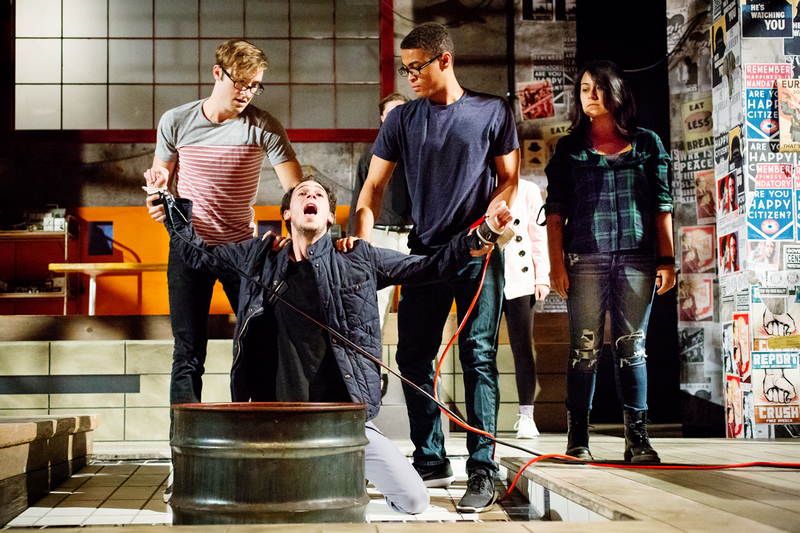 The play was part of Illinois Theatre’s 2015-16 season, whose theme was free expression and which featured works that have been censored or banned. Rick Orr of Champaign was among the first groups of students in the newly established theatre department, which was housed in Lincoln Hall before its move to Krannert Center. He was one of the first undergraduate students to direct a play on one of Krannert Center’s stages. “The theater in Lincoln Hall was very dated. It had very little backstage space and it had an old-fashioned lighting board with metal levers – it was very limited. The move to Krannert Center was very exciting. It was such a phenomenal space,” said Orr, a floral designer and the founder and artistic director of Station Theatre in Urbana. Students coming from the programs here are well-regarded in the professional world, said Robin McFarquhar, a movement specialist, chair of the department’s acting programs and the longest-serving faculty member in the department. The faculty also work in the professional theater world and have many connections, particularly in Chicago, that benefit students, he said. “We have alumni working at all levels of theater, TV and film around the country. And not just in acting, but also stage management and design,” McFarquhar said. The theatre department also brings thousands of high school students to campus every other year as a co-sponsor of the Illinois High School Theatre Festival. Editor’s notes: To reach Tom Mitchell, email tomitche@illinois.edu. The schedule for the theatre department’s 50th anniversary celebration is online.